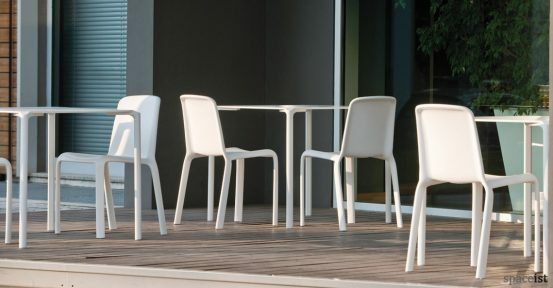 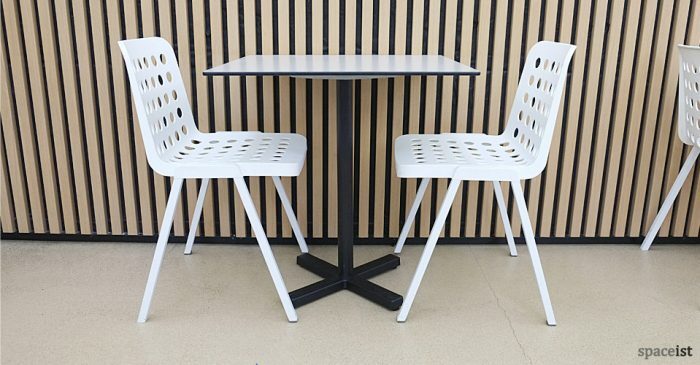 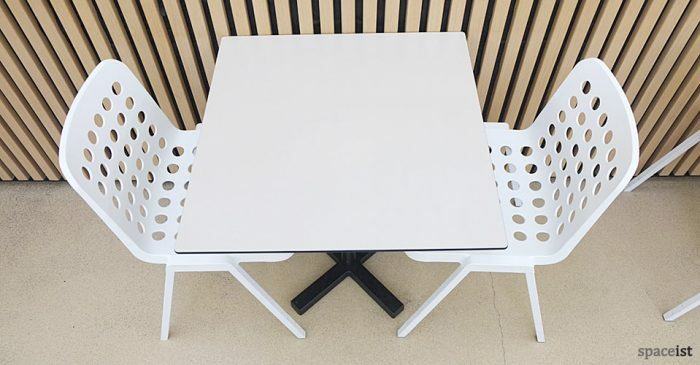 Snow chair is made from injected polypropylene shell which is UV resistant and suitable for outdoor use. 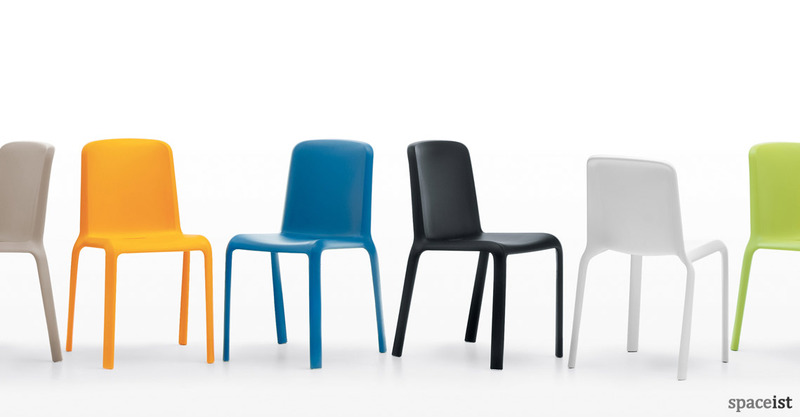 Shell comes in black, white, grey, sand, red, orange, lime or blue. 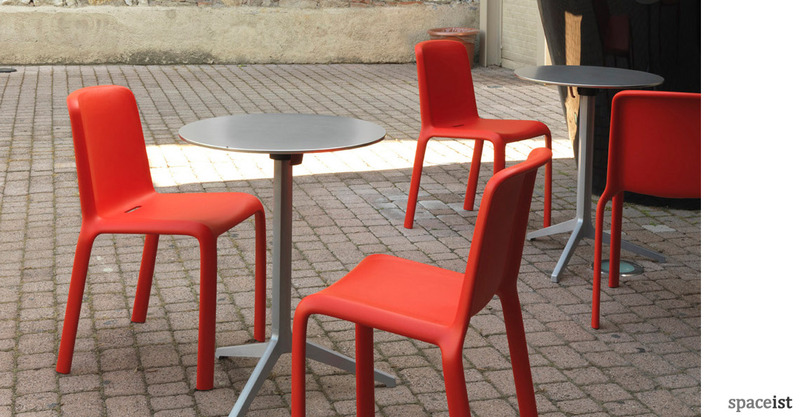 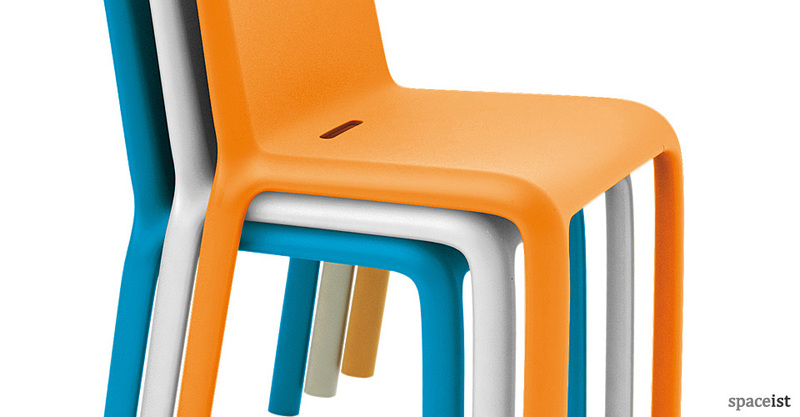 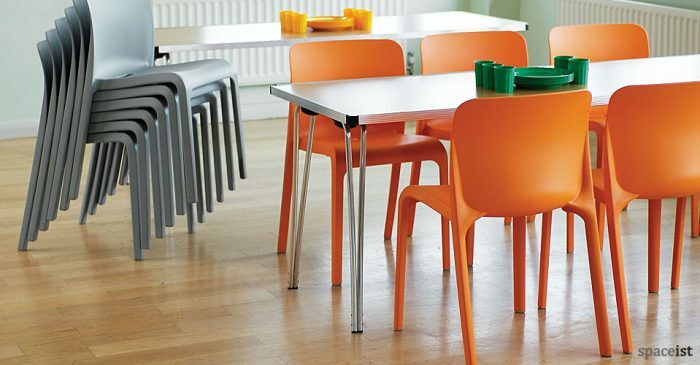 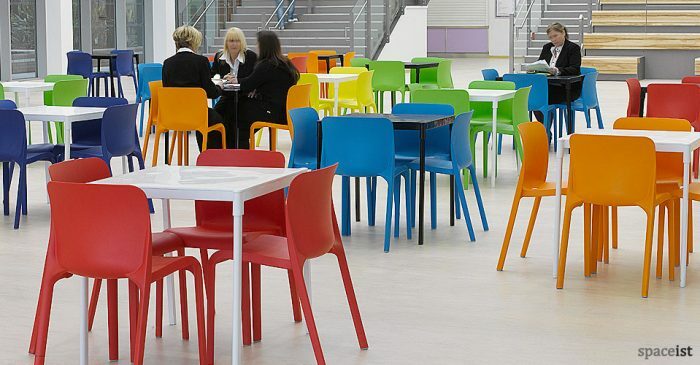 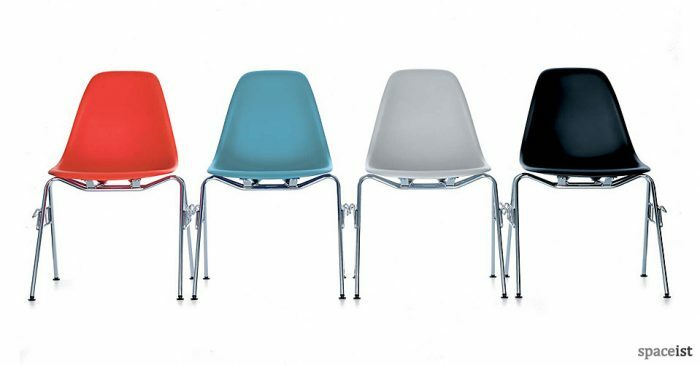 Stackable up to 8 chairs high and is suitable for outdoor use.